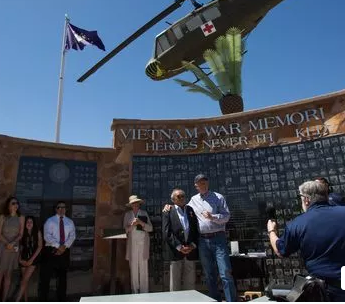 On May 25, 2018 in Las Cruces, NM, former 1LT Fank Mantu was awarded the Silver Star by Congressman Steve Pearce at the Las Cruces Vietnam Veterans Memorial. On this Memorial Day, I will highlight what Frank himself said at the ceremony as captured in the article. In typical Frank fashion, he chose to remember our dead from the 4 March battle rather than dwell on himself. 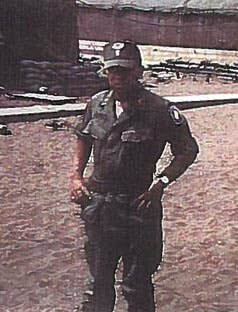 "Mantua, of Company D, 16th Armor, 173rd Airborne Brigade, served as a platoon leader during the battle of Tuy Hoa, and received his honors at the Vietnam War Memorial. On March 4, 1968, he helped the company defeat two enemy battalions in an all-day affair that saved several key American and South Vietnamese installations from being overrun. 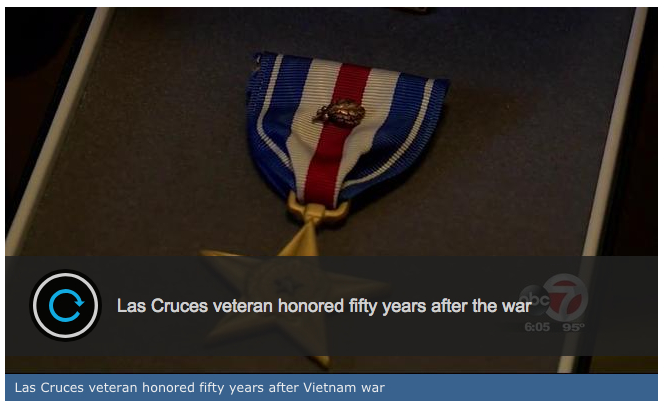 He was wounded, but led his platoon in three separate assaults and provided cover fire. Mantua also led a few volunteers in a daring attack with small arms and hand grenades. He continued to lead his platoon until the company commander ordered him to evacuate because of his wounds. 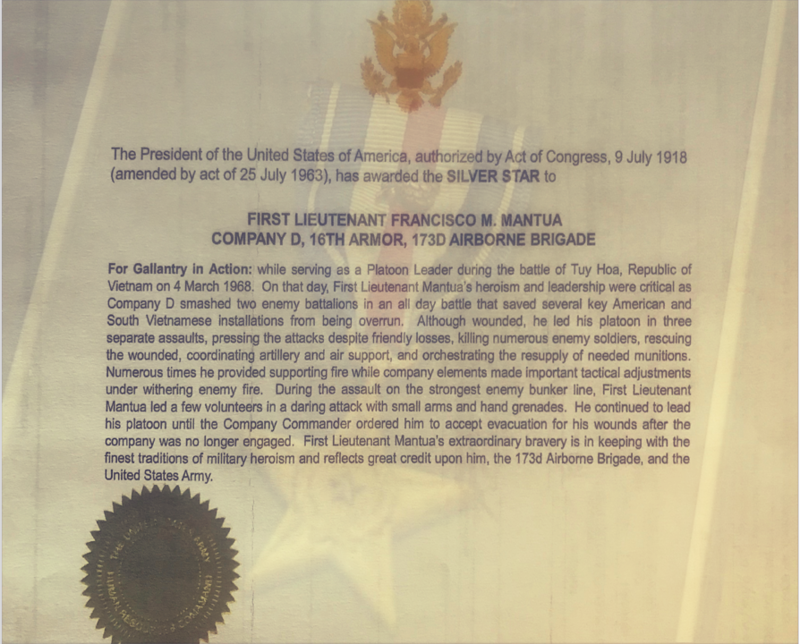 On Friday, Mantua, accompanied by family, accepted his medals and thanked members of his platoon who lost their lives in combat. "I wouldn't be standing here if it wasn't for them," he said. "They sleep forever young, but they do not dream. So it is up to us, in our lifetimes, to memorialize them by living out their dreams, to be the best sons and brothers we can be, to be the best husbands and fathers you can be, and best citizens you can possibly be. This is what we owe them." Click on the image to see news report.